Demetris Z. Raptopoulos was born on 2nd of March 1976 in Limassol, Cyprus. He studied law at the National and Kapodistrian University of Athens (Greece) where he was awarded with an LL.B. He continued his studies at the University of Leicester (UK) where he was awarded with an LL.M in International Commercial and Maritime Law and a Master in Business Administration(MBA). 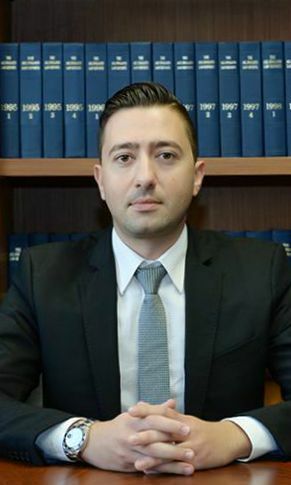 He successfully passed his exams of Cyprus Bar Association in 2003. His main area of practice is commercial/corporate shipping and ship finance. Demetris served as Parliamentary Associate as well as PA to the Minister of Justice and Public Order. In 2005 he was appointed as Secretary to the Parliamentary Committees (Transport, Communication and Works, Labour and Social Insurance, Internal Affairs). In 2006, Demetris joined a leading ship owning / ship management company in Limassol as Legal Advisor where he stayed for 9 years. He then joined a well-known Norwegian Group of Shipping and Aviation Companies as Legal Counsel. Throughout his career Demetris gained extensive experience in shipping corporate, commercial, finance and operational matters for ocean going vessels, offshore units/vessels and yachts. He advises on a wide range of issues, including ship building/supervision, tonnage tax, vessel and yacht registration, chartering, sale & purchase, trading contracts, pool agreements, BIMCO contracts, marine insurance, FD&D claims, bunker disputes as well as joint ventures and tenders. He has also considerable experience in drafting and negotiating loan/credit/facility agreements and security documents in financing transactions with leading European, US and Chinese Institutions. Demetris represented Cyprus as owner-member on the BIMCO Documentary Committee from 2009 to 2015. He was member of the Law and Finance Committee, Commercial/Chartering Sub-Committee & Labour Affairs Sub-Committee of the Cyprus Shipping Chambers (CSC). He also served as member of the committee responsible for drafting the Cyprus “Anti-Piracy Law”. He has participated in several seminars and training courses in Cyprus and abroad. He is fluent in both English and Greek. Maria Komodromou was born in Limassol on May the 4th 1979. Mrs. Komodromou specializes in European Union, Corporate and Commercial law (Local and International), Company Law, Contract Law, International Private Law, Immigration Law, Property Law, Banking, Civil and Commercial Litigation. She studied Law at the University of Athens (Greece) where she was awarded with an L.L.B. She has continued her specialization with an LLM in European Union and Commercial Law from the Leicester University (UK). 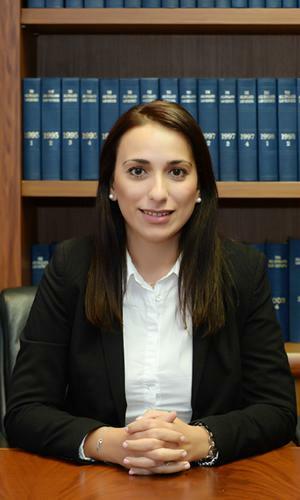 She is a member of the Cyprus Bar Association since 2004. She was lecturer on Business Law, Company Law and International Law at the CTL Eurocollege in Limassol (Cyprus). She is fluent both Greek and English. 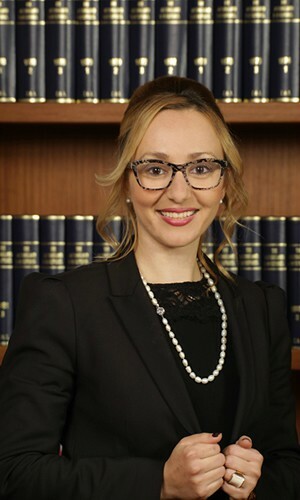 Christiana Pericleous was born in Limassol on October the 31st, 1983.She studied Law at the University of Wales, (Cardiff University) (UK) where she was awarded with an L.L.B (Hons) Law Degree. She further continued her postgraduate level studies and acquired an LLM in Commercial Law from University of Wales, (Cardiff University) (UK).Mrs. Pericleous is a member of the Cyprus Bar Association since 2006 and specializes in Corporate and Commercial law (Local and International), Company Law, Contract Law, Family Law and Banking Law.Throughout her career she attended numerous conferences within the legal sphere including The Cyprus – EU Presidency Summit in 2012, held by the Cyprus Presidency of the Council of the European Union and co-organised with the European Parliament office in Cyprus and the European Commission Representation in Cyprus. In 2011 she also participated in the Fourth Cyprus Summit regarding the leadership strategy for Cyprus’s prosperity and development organized by ‘The Economist’. She is a licensed insolvency practitioner as of 2015. She is fluent in English and Greek. George Komodromos was born in Limassol on April the 15th 1983. He studied Law at the National and Kapodistrian University of Athens (Greece) where he was awarded with an LLB. He continued his specialization with an award of an LLM in Commercial Law at the University of Bristol (UK). He passed with success the exams of the Cyprus Bar Association in 2010. He is a member of the Cyprus Bar Association. Mr. Komodromos is the head of the Financial Regulation and Licensing Department of our firm and specializes further in Company Law, Corporate and Commercial Law, Oil & Gas Law, Competition Law, International Contract Law, International Private Law, Property and European Law. With extensive experience and fluency in financial compliance, trading disputes, rules and regulations across Europe, the UK, and several jurisdictions including amongst others Vanuatu, Seychelles, Mauritius, Labuan, New Zealand, the Commonwealth of the Bahamas and the British Virgin Islands George Komodromos is able to offer an integrated and effective cross border business development strategy and assist clients’ businesses by guiding, directing and coordinating the highly reactive regulatory environment we are currently facing. 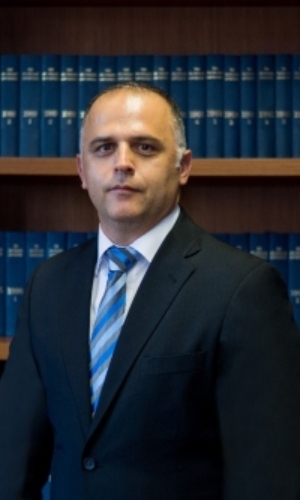 Mr. Komodromos has participated in several worldwide seminars and conferences including ‘BOSCO Conference Tax Pro Kiev’ in 2012, ‘INTAX Wealth Malta’ in 2013, INTAX Forum Kiev’ in 2013 and ‘Citizenship and Permanent Residency in Cyprus', held in Nanning-China in 2014. He is fluent in Greek and English.